Click this link to download Carry On to your mobile device at no cost. You'll need to install the free OverDrive app from Google Play or the App Store. Click this link to download the audiobook of Carry on at no cost. You'll need to download the free OverDrive app from Google Play or the App Store. 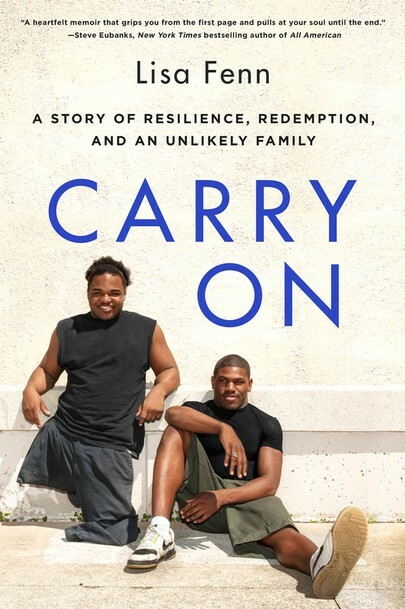 "Carry On is a surprising book, not only due to the tremendous hearts within these two young men, but because the failures and triumphs in their stories don't align with typical narrative rhythms. They arise suddenly, jaggedly, too often shatteringly, as occurs in real life. And as in real life, the moments of understanding, of healing, of unbounded joy will astonish you with the scope of their power." NAACP Image Award Finalist, and Winner of the 2016 Friends of American Writers Literary Award and the Christopher Award.